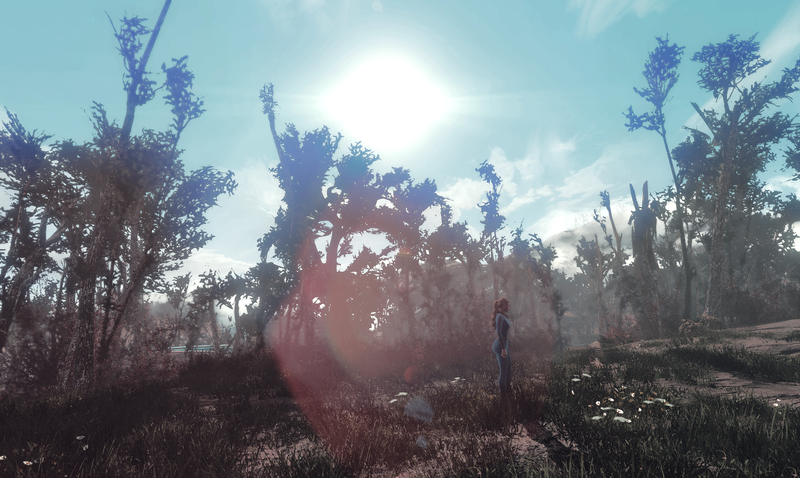 Update: ReShade 4 is out. I haven’t tested it yet, but I will surely create a new guide if they changed or added anything. 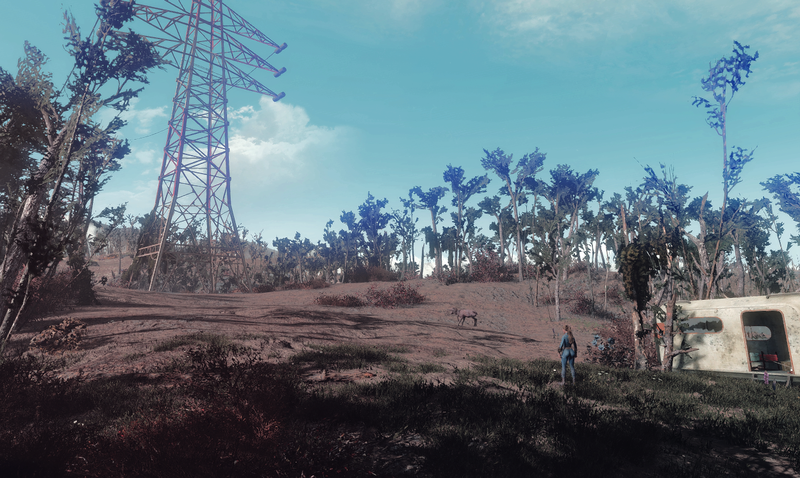 ReShade 3.0 is the new updated version of its predecessor, which works basically like the old build but requires a different installation and activation. 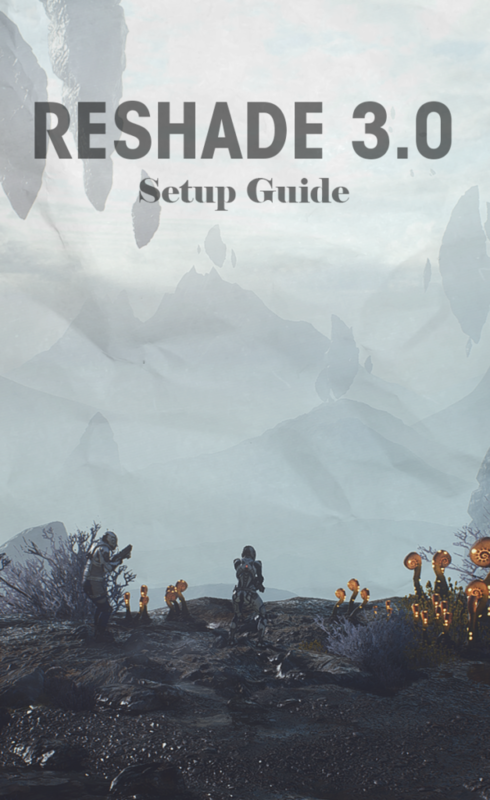 This guide will not get into the effects and what they do, you can read a basic overview about that in my previous ReShade post here. While ReShade 1 and 2 could easily be installed by dragging the folders into the game’s directory, the new version requires you to indicate which title you want to use with it. 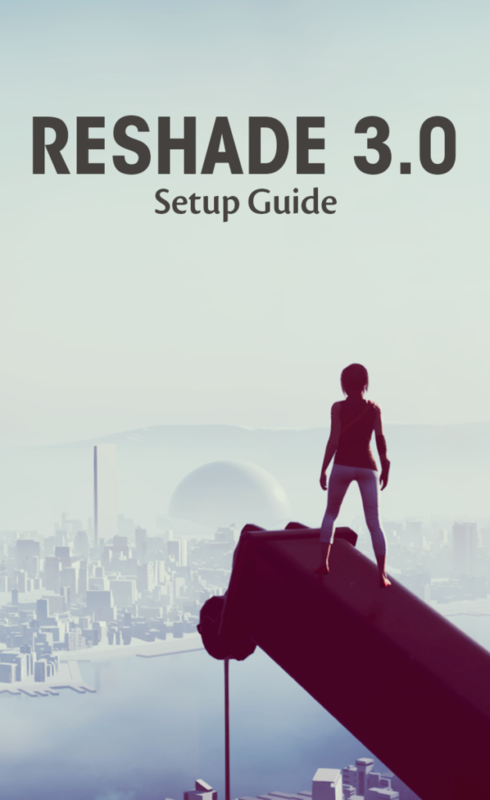 Go to ReShade.me and download the latest installer from the main page, you should get a file called ReShade_Setup_3.0.x. Load said program and click the Select Game button, this will open a new window where you can find the game’s path and choose the executable. 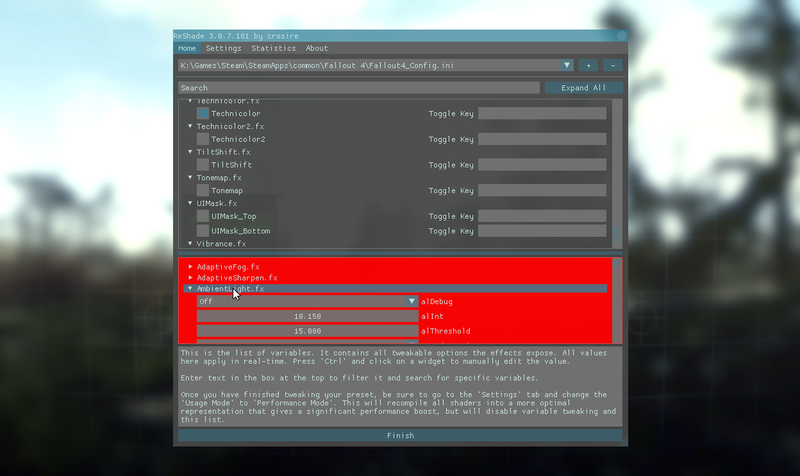 The tool usually recognizes the rendering API automatically, but if it doesn’t you have to specify whether the game uses DirectX 9 or 10. 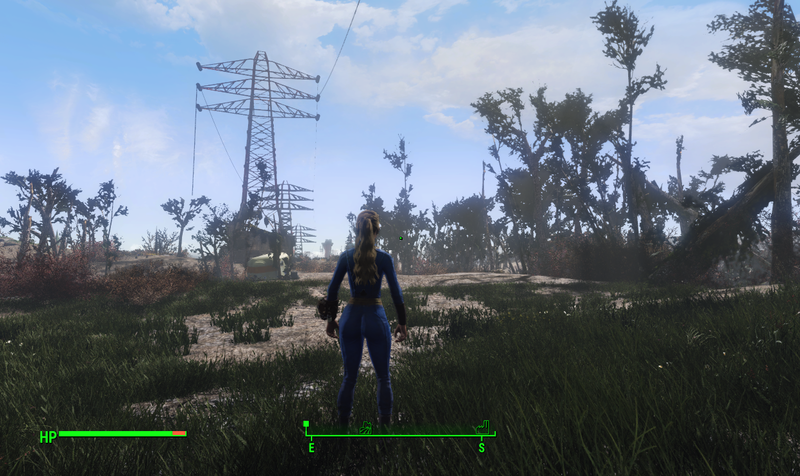 I want to try ReShade 3 with Fallout 4, thus I’ll select Direct3D 10+ just like the program suggests. 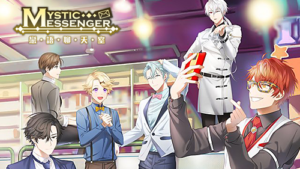 A new message should appear after that, asking if you want to download the standard effects from the official site. 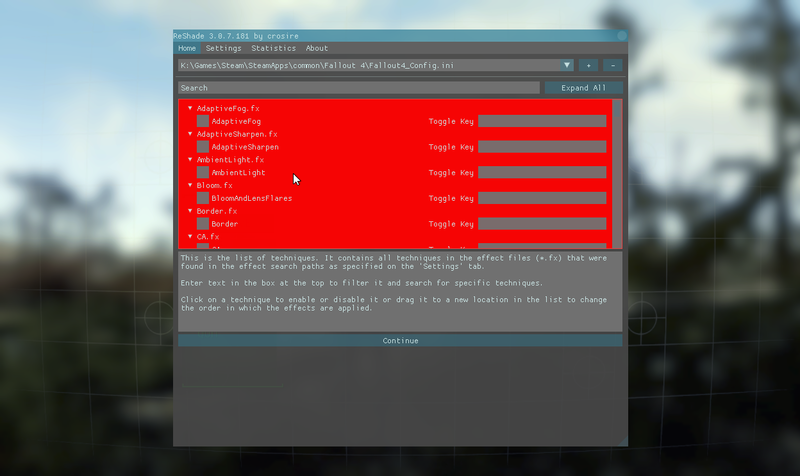 This step is really important, especially if you want to create your own configuration and test the various presets. Therefore, you must click on Yes or you will get an empty shader instead and no modification is possible unless you decide to use a custom setup from someone else. Now you will get the entire list of effects that ReShade will install. You can simply uncheck the unwanted ones, but if you never really personally used this mod before I’d keep the list as it is in order to properly check and see what these effects do. As the title says, the effects may take a bit to become fully operative (also depending on how many you’re using), but you can see its progress on the screen as everything loads in place. 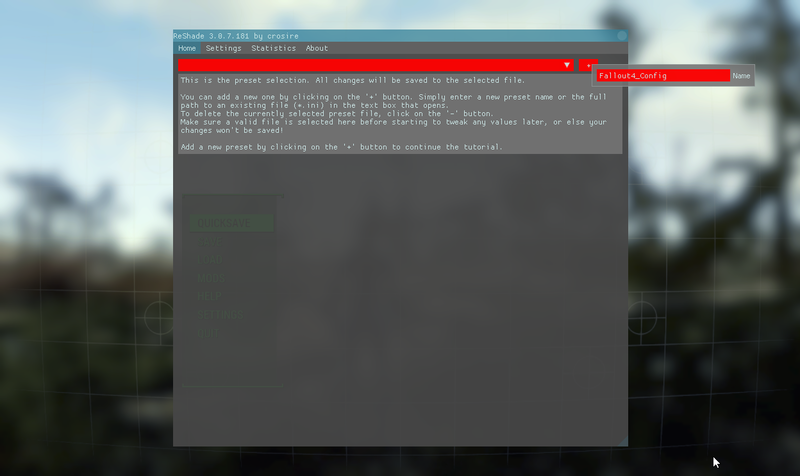 Press Shitf + F2 to open the ReShade configuration menu. This game pauses and blurs the screen at some point with it, but any other game should normally run even with the window open (useful to see the changes loading and do their job in real time). A welcome message should greet you right away, click Continue and you’ll get an empty red bar with a description below. You have to create a new name for your presets, just click on the + button next to the bar and choose whatever you’re comfortable with. 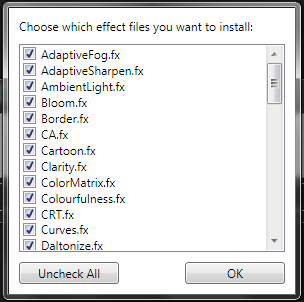 Then press Enter to finally get your full list of downloaded effects. Alright, this is where the fun begins (although my eyes are protesting in front of all that red). To activate the shaders you simply need to click on the squares and wait until they’re loaded into the game. I usually choose the same presets for all my games, but it highly depends on the way they look and also run with them applied. ReShade is used to enhance the original graphics adding more details, thus I’m afraid you won’t be able to avoid dropped frames while playing (unless you have a powerful machine with recent hardware in it). For this game I want to activate AmbientLight, Bloom and Lensflares, Colorfulness, Curves, Filmic Pass , Fine Sharp Mode 1, HDR, SMAA and Technicolor. When you are done with your overall selection click the Finish button and pay attention to the new window showing a bunch of customizable values. If you already like how the game looks from what you can see behind you don’t necessarily need to play around with them, but they can be quite useful if you particularly love one or more specific effects and consider them too strong as they are by default. Be sure the modified graphics will not make your vision darker in dungeons or at night. You can open the presets menu whenever you want simply pressing Shift+F2 again. To uninstall remove the reshade-shaders folder and dxgi.ini from the main directory. This may happen for two reasons. You didn’t properly install ReShade (maybe you selected a wrong API) or accidentally skipped the download process when it popped up. I’d suggest to uninstall ReShade completely and try again. I suppose the game is not compatible with ReShade 3. This is a downside actually, it doesn’t properly run with older games that usually worked with ReShade 1 or 2. 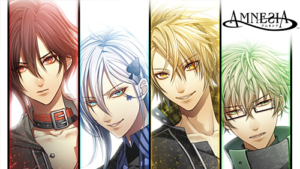 If you still prefer the previous version you can no longer find it on the main site. 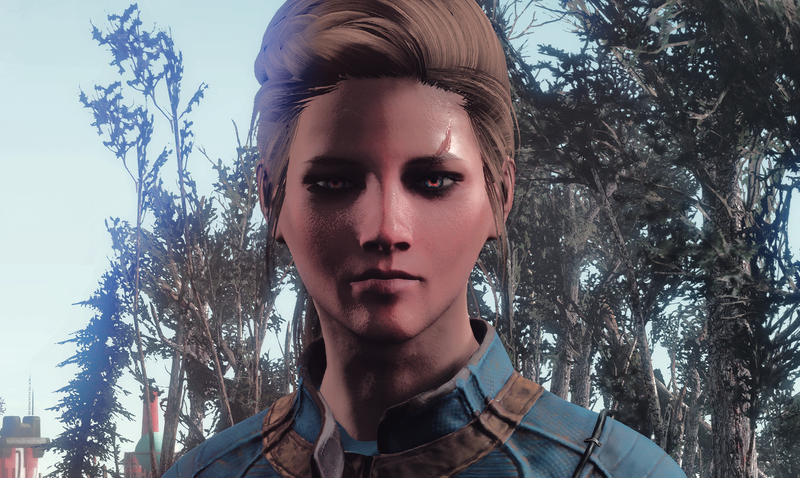 There is, however, a ReShade Repository here including all the builds.